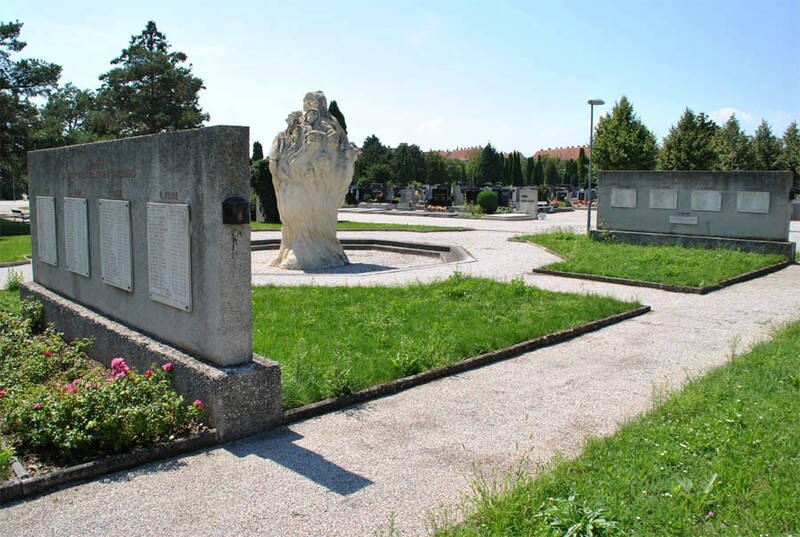 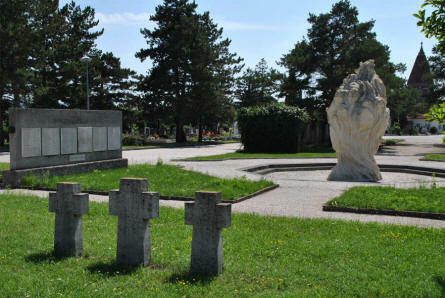 The Wiener Neustadt War Cemetery is a part of the civilian cemetery in Wiener Neustadt. The War Cemetery has three main section - a Russian World War II section, an Austrian World War I section and a general World War II section. The general World War II section include a larger number of Austrian and German memorials - but it also include other nationalities that fought on the German side during World War II - as well as Allied memorials. 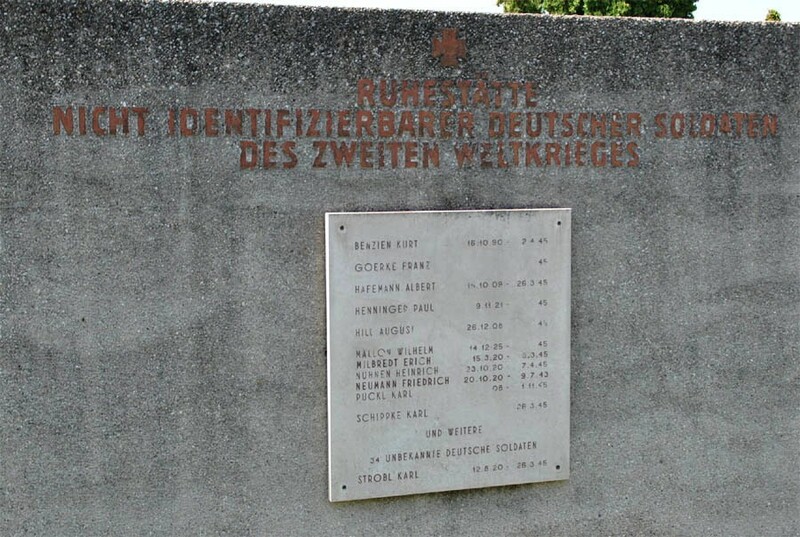 A part of the Austrian/German World War II memorial at the Wiener Neustadt War Cemetery. 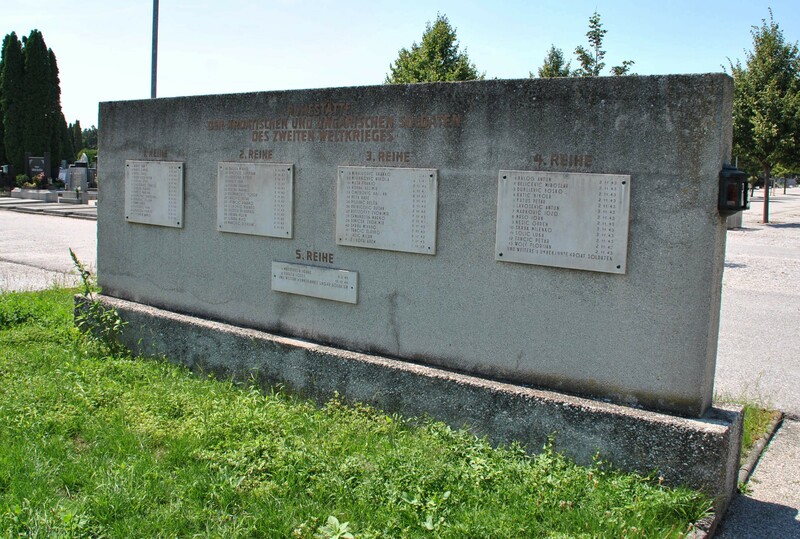 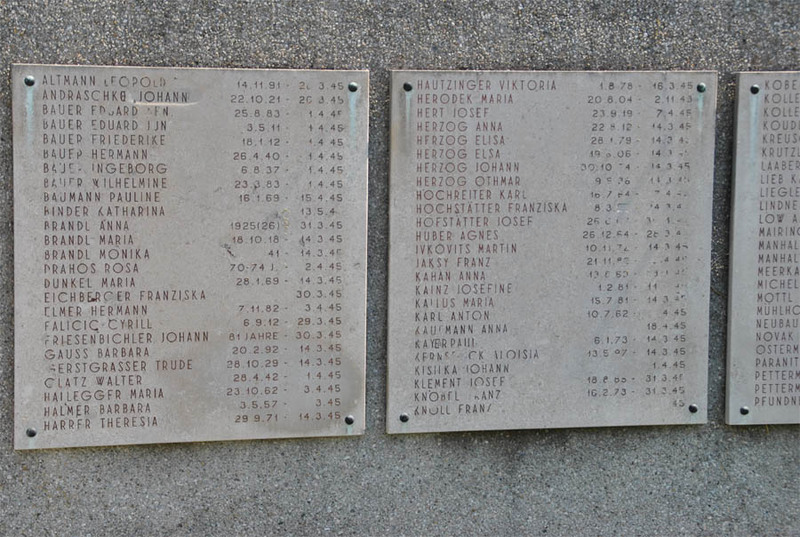 This part covers the Hungarian and Croatian soldiers that died serving with the German Forces during World War II. 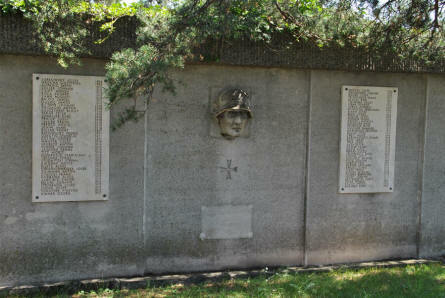 A part of the Austrian/German World War II memorial at the Wiener Neustadt War Cemetery. A part of the Austrian/German World War II memorial at the Wiener Neustadt War Cemetery - with the central memorial statue. A part of the Austrian World War I memorial at the Wiener Neustadt War Cemetery. 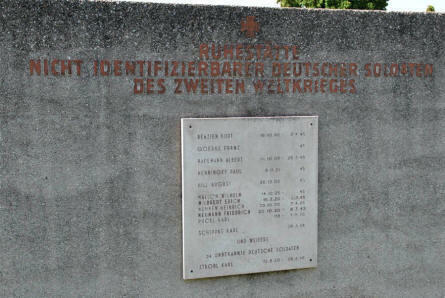 A part of the Austrian/German World War II memorial at the Wiener Neustadt War Cemetery. 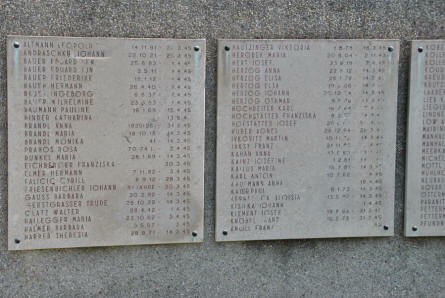 This part covers the "Unknown" soldiers that died serving with the German Forces during World War II.